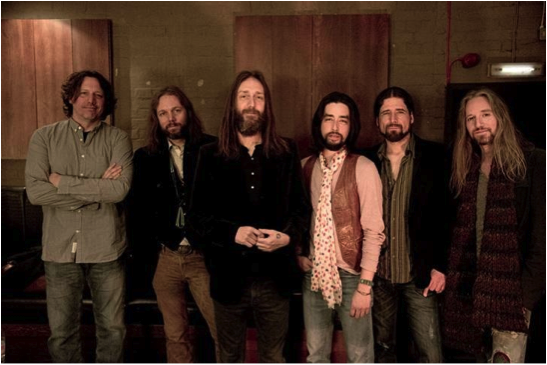 Guitarist Rich Robinson has issued a statement announcing the end of The Black Crowes after 24 years as a band. "It is with great disappointment and regret that after having the privilege of writing and performing the music of The Black Crowes over the last 24 years, I find myself in the position of saying that the band has broken up,” said Robinson. The guitarist revealed details regarding some controversy within the group that fueled his decision not to return. “I love my brother and respect his talent,” he noted, “but his present demand that I must give up my equal share of the band and that our drummer for 28 years and original partner, Steve Gorman, relinquish 100% of his share, reducing him to a salaried employee, is not something I could agree to." When the group parted ways following the end of their 2013 tour, the Crowes issued a statement confirming that they have no future plans for touring as band members will focus on solo releases and projects in 2014. Last fall, Gorman shared an update on the band’s hiatus: "I've said in the past, 'I know we'll work again' or 'there's no way we'll work again,' and I've been wrong. But right now, the likelihood of us doing anything again is as low as it's ever been. We could obviously all see things differently in a year, but I'll be surprised if the Black Crowes do something again. Ever." The Black Crowes began as Mr. Crowe's Garden – named after Leonard Leslie Brookes children's book Johnny Crow's Garden – in 1984. The band’s debut, 1990’s “Shake Your Money Maker”, helped refuel a return to roots rock on its way to selling more than 5 million copies in the States alone. The group issued 8 studio albums and 5 live records during their run before announcing their hiatus in 2013. The singer released the latest Chris Robinson Brotherhood album, “Phosphorescent Harvest”, last April, while Rich put out his third solo project, “The Ceaseless Light”, in May. Gorman returned to American supergroup Trigger Happy to release their debut last year; the lineup includes singer Joan Osbourne, session guitarist Tom Bukovac, singer/songwriter and Black Crowes guitarist Jackie Greene and bassist Nick Govrik.